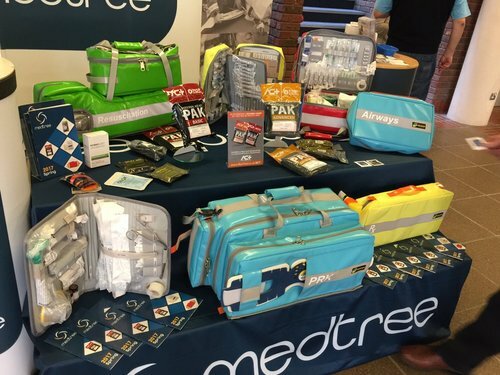 The Trauma Care 2017 conference (@TraumaCareUK) was held at Staffordshire’s Yarnfield Park 15-18 March. In total, there were over 26 conference streams and an incredible 200 speakers! Hundreds, if not thousands, of delegates included pre-hospital and in-hospital clinicians, fire and rescue personnel, military, and police officers plus an enormous number of volunteers who represented groups such as community first responder and search and rescue organisations from across the UK. Yarnfield Park (@YarnfieldPark1) itself developed from housing used by temporary workers at a nearby world war two munitions factory. Today, the site is a cross between a small university campus, a Travelodge and an outdoor activity centre. I arrived at 3pm on the third day (17 March). Checking into the accommodation was easy, and I found myself in a small but modern room in the Derwent block. Free WiFi, available across the site, was excellent and it was simple to find my way around the conference centre. I caught Karim Brohi’s (@KarimBrohi) keynote presentation about trauma induced coagulopathy; particularly interesting points included the realisation many blood products used in emergency medicine are optimised and packaged for the longest possible shelf life, rather than ideal contents and volumes for trauma management. Perhaps there’s a future for special blood banks with tailor made solutions to these issues. The evening meal was in a modern canteen setting; the £5.99 meal was fairly simple chicken and roast vegetables. The bar was fairly quiet and served until 11.30pm, giving time for plenty of chatter between delegates, Trauma Care faculty and some of the commercial exhibitors. I made it to bed around 1am. At first the bed felt quite firm, but I slept through the night and woke up refreshed the next morning. The fried breakfast was very good value, which set me up for the day. I was speaking at the Student Paramedic conference so went to the room and got ready. Around 60 student paramedics from across England attended, and the day was organised and facilitated by Andy Thomas (@AndyThomas135). The first speaker was Paul Gowens (@SASConsultPara), Lead Consultant Paramedic with the Scottish Ambulance Service, who spoke about management of traumatic cardiac arrest. Paul impressed how important it is for a lone responder to consider straightening grossly deformed legs, applying a pelvic splint, obtaining vascular access and give fluids, decompressing the chest and securing the airway before commencing chest compressions. Where two clinicians are available, these should happen simultaneously. 7.5% of patients do survive a traumatic cardiac arrest, which compares favourably to medical arrests, so it’s worthwhile attempting resuscitation in this group. My session followed. I spoke about changes in paramedic trauma care 2006-present, and speculating what paramedic trauma care might look like in 2026. I got some great feedback from Twitter and feel genuinely humbled by some of the compliments I received. Richard Steyn, cardiothoracic surgeon, led a talk on chest injuries, explaining different factors can be associated with the pathology of pneumothorax and reminding the audience bilateral crushing forces can produce flail chest injures which affect the entire ribcage but also be difficult to easily identify. I next toured the 20-30 exhibitor stands; the British Army were showcasing opportunities for health professionals, TraumaFX (@TraumaFXUK) demonstrated their lifelike mannequins and explained just how durable they are whilst amenable to intense training scenarios, and even a dog first aid instructor was explaining how to care for animals used in search and rescue! 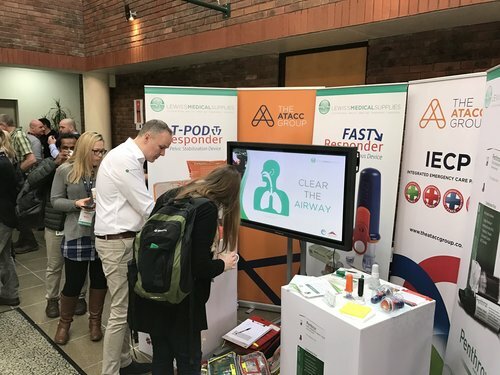 Martin Berry (@MartinBerryUK) spoke about the College of Paramedics’ (@ParamedicsUK) post-graduate framework, and potential opportunities for specialised, advanced and consultant paramedics both in terms of trauma and the wider profession. There were some really exciting ideas and a welcome reminder that supporting the College of Paramedics is the most effective way to support our professional development and secure a bright future. Officers from Durham and Cleveland police spoke about firearms units responding to a Marauding Terrorist Firearms Attack (MFTA) and reviewed the trauma interventions which can be offered by skilled police officers at the scene of deliberate violence, but also at road traffic accidents in support of the ambulance service. The closing session was hosted by Andy Thomas, and I, Martin Berry and Paul Elliott (@PaulElliott_) fielded a range of questions about management of hypothermia, whether the HCPC (or another body) should maintain a register of paramedics in advanced roles and what the future holds for paramedic education. Just before 5pm, the conference closed and delegates made their way home, taking new knowledge and experience back to their daily practice and training. 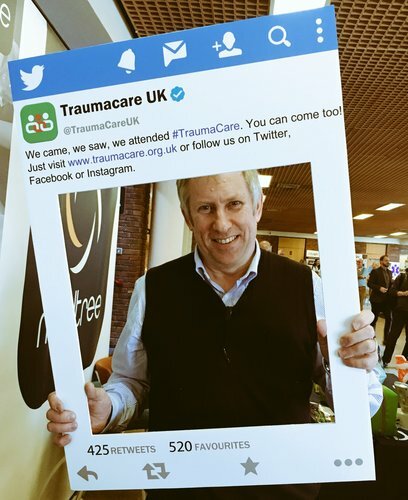 With such high quality teaching underpinning the entire event, it’s certain that injured patients will have already benefitted from Trauma Care 2017.